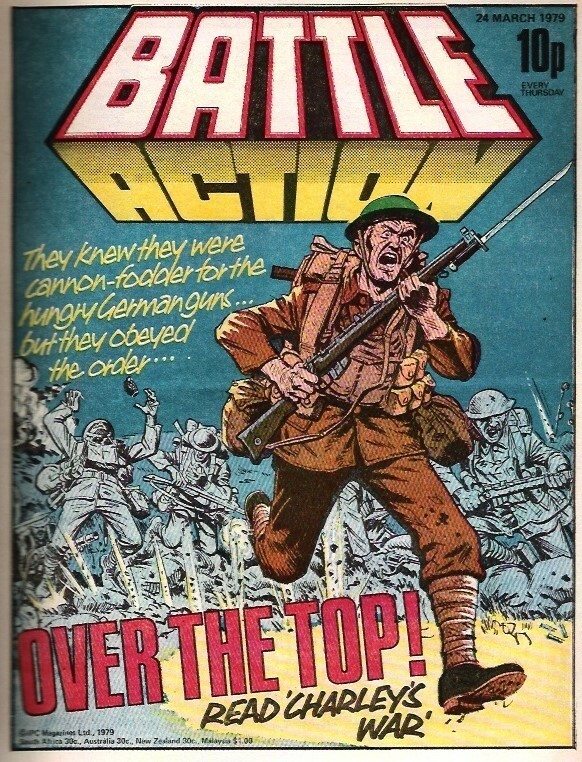 Diverging from our Alphabetical ramblings for one episode we look at the Battle of the Somme, 100 years after, through the eyes of Pat Mills comic Charley's War. It gives us a chance to talk about comics that are more true to life than superheroes, as well as looking at how we can remember those who fought. This is a kind of cross over with my other podcast, John Adams: Letters from the front, which looks at my Grandfather's letters home during World War 1. We also spend some time going over feedback we received over the past while and we play the promos for Resurrections, King Sized Comics Giant Sized Fun and In Country (who I kept referring to as the 'Nam podcast, because it looks at the 'Nam comic, and i'm a twit), as well as John Adams, Letters from the front podcast. And it will be available in iTunes HERE. So download, listen and enjoy. Regarding stories from the "other" perspective, you are right that stories from that perspective are rare. 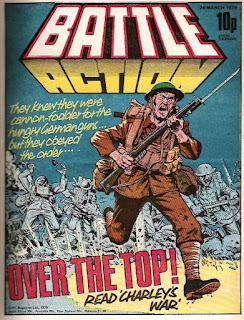 Which is what makes the comic book character of Enemy Ace so interesting. WWI stories featuring the best German fighter pilot.